Lexington Company was founded in 1997 and is a globally operating company with headquarters in Sweden. 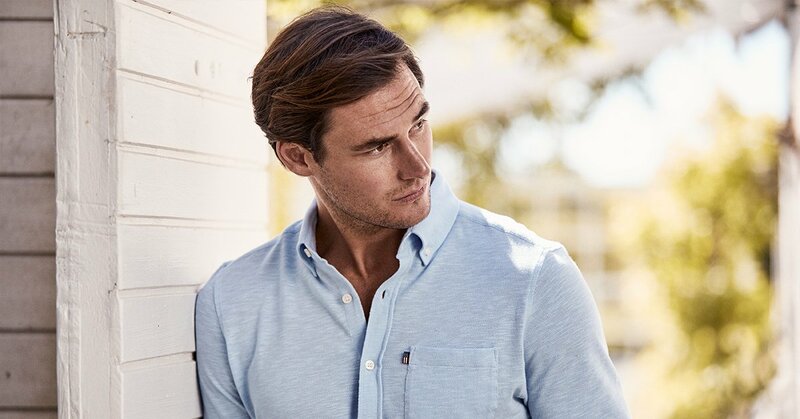 Lexington is a premium lifestyle brand offering both Home and Clothing collections influenced by the typical New England style. The collections are true to the American tradition of superior craftsmanship and provides premium quality products. Lexington is currently available in over 20 markets and established in approximately 900 sales points in Europe, the US and Asia. Corporate Social Responsibility, CSR, has been a fundamental part of Lexington's business since its start in 1997. We are continuously working with CSR, which means that our sustainability goals are integrated throughout the company from vision, idea and design, through materials selection, transportation, quality and production to social responsibility, ethics and gender equality, as well as through minimized climate footprint. Read more about our CSR here. Lexington was founded by our CEO Kristina Lindhe in 1997, and we are proud that the entrepreneurial spirit still pervades our work culture. At Lexington, we highly value our hard-working employees who are all part of improving and developing our brand and collections. Every one, both in the stores and at the head office, contributes daily to creating a successful concept and to our pursuit of growth and development. Because we know that our employees are the reason for our success, Lexington is constantly working to become an even better employer. We offer our employees market salary levels, a good working environment and some great benefits — read more below under the section "Lexington Benefits". We also think it's important to feel at home at the workplace. Therefore, we have created an inspiring workplace where we can exchange ideas and get support from each other. We are looking for applicants with a big drive and interest in helping us in our pursuit to become an even better and more inspiring lifestyle brand. We think that you are cooperative, humble and perhaps have an interest in fashion and interior design. If this sounds like you, we hope you take the opportunity to submit an application to us at Lexington! Below you will find our current available jobs. Click on the position to see more information and to submit your application. If we currently don't have any jobs that interest you, please feel free to send in an open application. Your resume will be treated confidentially and will not be shared with any third party without your consent. In my role, I have the freedom to be creative and think outside the box. It’s great to be a part of a small but hardworking team who always has Lexington core values close to heart and strive to create inspiring collections together. The atmosphere and the successful people! We inspire, motivate and push each other towards the same goals. After ten years at the company, new things are still happening every day. It's great being a part of such a developing environment. I appreciate the variation in my role and the fact that I get to interact with such varied groups of people, both locally and globally. The work environment in the Lexington stores is very inspiring . I also really appreciate the opportunity to constantly grow and develop within the company. All of our employees receive a market based salary. Look forward to retirement! We offer pension solutions for all our employees. We want our employees to grow with us. We recruit from our own ranks and strive to constantly learn from each other. We offer our employees a subsidy for health activites. Maybe it's time to join that fotball team or take a yoga class? It's important to have fun! We continuosly host activities so that we can get to know each other a bit more outside work. Lexington is proud to operate globally. As an employee you will be in contact with many different countries and cultures.